Decorative Life: Approximately 7-21 days. This species is not a true fern as it is a member of the Liliaceae (lily) family. Common relatives include smilax, grape hyacinth, daylily, hyacinth, tulip and asparagus. Has fluffy, needle-like leaves on stiff stems. 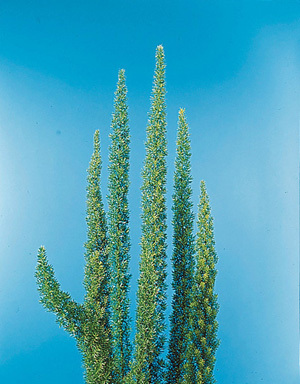 Stems are to 24 inches, classed as a monocotyledon, leaves mostly parallel veined. The specific epithet name “densiflorus” means dense flowers. Easy to cultivate in warmer climates or under glass.